advill and Equation like this. Mongolia separated from China as a result of the fall of Qing dynasty. In the aftermath of the Xinhai revolution and the abdication of the last emperor, China became fragmented. The new republic government controlled only a fraction of the nation, while the rest of the country reverted to tribalism and warlordism. Eventually, the Nationalists mounted military expeditions to recapture the rest of the country, but were only partially successful. In the meantime, Mongolia had fallen under Soviet influence. Then the Japanese invaded, and the Nationalist government was forced to retreat into the interior provinces. In 1945, Soviet troops were poised to enter the war against Japan, which incidentally also meant invading China. Jiang had no choice but to recognize Mongolian independence in order to secure Soviet aid against the Japanese. When the People's Republic was established, the PRC affirmed its recognition of outer Mongolia's independence. Equation and taxiya like this. Actual Jiang went back on his word of recognising Mongolia. That is why the official RoC map still shows Mongolia and north xingjiang that were ceded to Russia as Chinese territory. Mao recognised Mongolia because he needed soviet support. Equation, N00813 and taxiya like this. Yeah, that's why so many RoC lovers and Communist haters blame PRC and the Communist for ceding Mongolia, and praise Jiang for being a hero. The world is really twisted, another demonstration that "lie can become truth afther repeating 1000 times." The Qing policy was the main cause. In the 1700s, Qing government has abolished local chieftans authority and replaced with county chiefs appointed in provinces like Yunnan, Guangxi and Guizhou (改土归流), eliminating any possibility of secession by local enthic rulers. In the 1870s, after the campain by Zuo Zongtang, the same thing happened in Xinjiang, local Bergs were abolished, direct government were set, lots of Han, Manchu and Mongols were settled who are loyal to the central government. In the late 1800s close to the turn of centry, the ban of Han migration to Inner Mongolia and Jilin, Heilongjiang was lifted, encoraging massive Han migration. This move made it impossible for local secession or invasion by Russia simplely because of the massive loyal population. The exception is Outer Mongolia, Qing has never opened up that gate for migration, neither has Qing attempted to abolish the Mongolian aristcrats heradity power and replace with appointed chiefs. That made it essentially "independent" with its own rulers and governments, pretty much like Tibet at the time. Here comes the Russians, with that sort of "independency", Russians and the Soviets just need to find someone to lead a rebellion, everything afterwards is easy. This could have happened in Tibet, the only thing stopped it from happening is the Himalayas that prevented any meaningful materialistic support from Britian who has always been eager to do. Regarding the "misery" in Mongolia today, I'd say, it is their own life, not China's. Once divorced, you are on your own, for better or for worse. No need for Chinese to be passionate (which will only get hatred, jealocy in return, or China expansionism by the enemies). If Mongolia do feel some regret (hypothetically), it must be them to initiate some kind of getting closer. China should not initiate anything other than pure business dealing. Red Moon and Equation like this. Next week, on May 9 and 10, I will be in Beijing, to co-chair the 12th China-Singapore Forum. My co-chair is Ambassador Wu Hailong, the president of the Chinese People's Institute of Foreign Affairs. The forum is being conducted on what is called Track 1.5, meaning that the participants consist of a mixture of government officials and colleagues from the business community, academia and the mass media. The forum has three objectives. First, to create a platform for the frank but cordial exchange of views between Singaporeans and Chinese. Second, to promote better understanding between our two countries. Third, to grow the community of public intellectuals in the two countries who have a deep interest in the other country and in good relations between them. In preparation for the 12th forum, I have been thinking about Singapore's friendship with China. I would like to share my thoughts with my fellow Singaporeans as well as with friends in China. Founding Prime Minister Lee Kuan Yew made his inaugural visit to China in 1976. The then Chinese ambassador to the United Nations Huang Hua and I had the honour of organising that visit. Speaking on May 11, 1976, in Beijing, Mr Lee said that Singapore would not be anti-China. He also said that the stronger China became, the better and more equal the balance between the United States, the Soviet Union and China. He concluded that such a balance would be safer for the world and for Singapore. We have never deviated from this vision. Chinese leader Deng Xiaoping made a historic visit to Singapore in 1978, two years after Mr Lee's visit to China. The visit to Singapore must have reinforced Mr Deng's determination to undertake reform and to open up the Chinese economy to the world. Mr Deng and Mr Lee developed a strong relationship of mutual respect and mutual trust. Mr Lee decided that Singapore would support China's paradigm shift from a centrally planned economy to a market economy with Chinese characteristics. Mr Deng and his successors had frequently asked Mr Lee for his advice. Mr Lee would visit China almost every year and was sincere in his advice. When Mr Deng started China on the journey of reform and opening up to the world, he needed role models. For inspiration, he looked to South Korea, Taiwan, Hong Kong and, especially, Singapore. In February 1992, Mr Deng's reform agenda was being opposed by conservative elements in the party's leadership. In order to counter them, he took his family on a tour of South China. In Shenzhen, he said that Guangdong province should catch up with the four tiger economies in 20 years. He went on to say: "There is good social order in Singapore. They govern the place with discipline. We should draw from their experience and do even better than them." Mr Deng's endorsement of Singapore led to a flood of requests from China. In 1992 alone, Singapore hosted the visit of more than 500 delegations from China. Three generations of Singapore's leaders have tried to promote better mutual understanding between China and the United States. Singapore was one of the first countries to support the Asian Infrastructure Investment Bank. Singapore is also supporting the One Belt, One Road initiative. A second contribution which Singapore has made to China is the transfer of knowledge, expertise and experience. 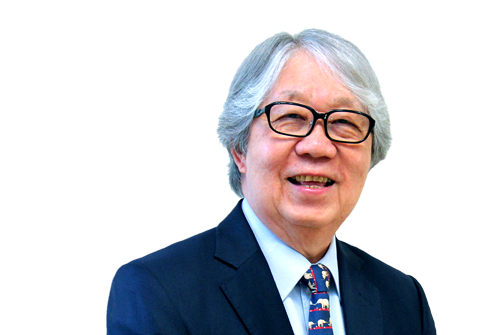 Singapore's pioneer finance minister, Dr Goh Keng Swee, served as China's economic adviser. Dr Goh did for China what the Dutch expert, Dr Albert Winsemius, had done for Singapore. Singapore has been extremely generous in sharing its experience with Chinese leaders and cadres. Both the Nanyang Technological University and the National University of Singapore have customised special Chinese language courses for Chinese officials. The Civil Service College Singapore has also collaborated with China's Central Party School in education and training. In his speech at Nankai University, in 2015, President Tony Tan Keng Yam said that in total, Singapore has provided training to 50,000 Chinese officials and cadres. This contribution is unique and priceless. Speaking at the Lee Kuan Yew School of Public Policy on April 17, 2010, China's Vice-President Li Yuanchao said: "Out of all the destinations where we send our leading officials to receive training, Singapore is our top choice because Singapore is the most sincere in helping China develop, due to our longstanding warm relationship." A third contribution by Singapore is to invest in the Chinese economy. Since 2013, Singapore has become the largest investor in China. Singapore's investment in China is also unique. Let me explain. Singapore investments fall into three categories. The first category consists of investments made by Singapore's private sector for purely commercial reasons. The second category consists of investments made by the private sector in projects which have the backing of the two governments. Two examples are the Sino-Singapore Guangzhou Knowledge City and the Singapore-Chengdu High-Tech Park. The third category consists of very large government-to-government projects, such as the Suzhou Industrial Park, the Tianjin Eco-City and the Chongqing Connectivity Project. These iconic projects are not only intended to advance the shared economic interests of the two countries but also to transfer Singapore's software to China. They are also intended to nurture a growing circle of Chinese and Singaporeans who understand each other and are capable of working harmoniously together. A fourth contribution which Singapore has made to China is to be its steadfast friend and to be an interlocutor between China and the US. Following the tragic Tiananmen incident in 1989, the West condemned China and imposed economic sanctions against it. Singapore did not join the West but continued to invest in China and help China. When negotiations between China and the US on China's accession to the World Trade Organisation reached an impasse, Mr Lee spoke to two members of President Bill Clinton's Cabinet and helped to break the impasse. Three generations of Singapore's leaders have tried to promote better mutual understanding between China and the US. Singapore was one of the first countries to support the Asian Infrastructure Investment Bank. Singapore is also supporting the One Belt, One Road initiative. China has made so much progress in the last 30 years that in some areas, Singapore could learn from China. The use of solar energy is one such area. There are other areas, such as in science and technology, where Singapore can learn from China. The new spirit is mutual learning. However, there are new areas in which Singapore is still able to make a contribution to China, such as human resource development, social management and financial governance. In conclusion, I would say that Singapore has been a steadfast, reliable and sincere friend of China since the late 1970s. Looking to the future, China can depend on our goodwill and friendship. The writer is an ambassador-at-large at the Ministry of Foreign Affairs and co-chairman of the China-Singapore Forum. Red Moon, advill, bluewater2012 and 1 other person like this. Simply put, Singapore and China is pretty similar to South Korea and China in terms of relationship. South Korea's reliance and alliance with US is based primarily on the fear of NK attack, not much on fear of China, but still. The point is, if there is any uneasiness between Singaporean and Chinese, it is not any worse than between SK and Chinese which is pretty much non issue. What makes it worse (if it is worse) in case of Singapore/China is that both are primarily Han Chinese countries. So both population may expect more goodwill from each other than from other countries. But the reality is that the two are different countries that have distinct interests that may lead to being in opposing camps. This is another proof that ethnicity has no place in geopolitics and national interests, like it or not. Remember, Ukraine and Russia fought each other for most of their history even though the are as close to each other as people of Beijing to Hebei. Same has happened between Germans and Austrians (also Germans) during the Napoleonic war. That expectation is the fault, not rational but emotional. My advice, treat each other as just foreigners, don't expect more, accept the reality, everything will look clearer, no sweat feelings, nor hard feelings. If China is weak,irrational, or poor It reflect bad on OC too. The world does not differentiate at all. So there is genuine desire to see that China is strong, wealthy, and reasonable. BOKEO, Laos (Reuters) - Kongkaew Vonusak smiles when he recalls the arrival of Chinese investors in his tranquil village in northern Laos in 2014. With them came easy money, he said. China has extolled the benefits of its vision of a modern-day “Silk Road” linking it to the rest of the world - it holds a major summit in Beijing on May 14-15 to promote it. The banana boom pre-dated the concept, which was announced in 2013, although China now regards agricultural developments in Laos as among the initiative’s projects. Under the “Belt and Road” plan, China has sought to persuade neighbors to open their markets to Chinese investors. For villagers like Kongkaew, that meant a trade-off. “Chinese investment has given us a better quality of life. We eat better, we live better,” Kongkaew said. “If you want to farm, you have to use fertilizers and pesticides,” said Wu Yaqiang, a site manager at a plantation owned by Jiangong Agriculture, one of the largest Chinese banana growers in Laos. “If we don’t come here to develop, this place would just be bare mountains,” he added, as he watched workers carrying 30-kg bunches of bananas up steep hillsides to a rudimentary packing station. “In principle we always require Chinese companies, when investing and operating abroad, to comply with local laws and regulations, fulfill their social responsibility and protect the local environment,” he told a regular briefing on Thursday. Laos’ Ministry of Agriculture did not immediately respond to a Reuters request for comment for this article. This influence is not only keenly felt in the capital Vientiane, where Chinese build shopping complexes and run some of the city’s fanciest hotels. It also extends deep into rural areas that have remained largely unchanged for decades. Lao people say Chinese banana investors began streaming across the border around 2010, driven by land shortages at home. Many headed to Bokeo, the country’s smallest and least populous province. In the ensuing years, Lao banana exports jumped ten-fold to become the country’s largest export earner. Nearly all of the fruit is sent to China. Most Chinese planters grow the Cavendish variety of banana which is favored by consumers but susceptible to disease. Part of CAMKID’s work includes educating workers about the dangers of chemical use. “All we can do is make them more aware,” she said. This is an uphill struggle. Most pesticides come from China or Thailand and bear instructions and warnings in those countries’ languages, Reuters learned. Even if the labeling was Lao, some Hmong and Khmu are illiterate and can’t understand it. There is no guarantee the government’s crackdown on pesticide use in banana production will lead to potentially harmful chemicals being phased out altogether. Zhang Jianjun, 46, co-owner of the Lei Lin banana plantation, estimated that as much as 20 percent of Bokeo’s banana plantations had been cleared, and said some of his competitors had decamped to Myanmar and Cambodia. But he has no plans to leave. The environmental impact on Laos was a “road that every underdeveloped country must walk” and local people should thank the Chinese, he said. Despite being a dependent state of India, an interesting article on the Bhutan's evolving stance on China relationship. The Bhutanese government really needs to decide what is the strategic long-term national interests of Bhutanese people. Every year, Bhutan’s prime minister gets up in the middle of the year to present the annual report of his government to the parliament as stipulated in the constitution. This year, was no different. For Tshering Tobgay, it was his sixth and last ‘state of the union’ speech before the National Assembly is dissolved in August. With an eye on the elections, the focus of Tobgay’s speech on June 30 was improvement in the economy during the 11th five year plan, which coincided with his tenure. As expected, the report also dwelled on Bhutan’s foreign policy with the aim of “protecting our sovereignty and security to ensure that we remain independent for all times to comes,” he said. After the customary reference to excellent relations to India, Tobgay then came to China. India obviously gets multiple mentions in the annual reports due to multi-layered ties, but the current prime minister has also referred to China in five out of six speeches delivered to Bhutanese parliament since 2013. It usually follows a template of a statement about Bhutan’s “warm” relations with China, followed by the latest update on boundary talks. This formula was also followed this year, but with significant difference. “Our relations with China, the second largest economy in the world and an emerging global power is increasing and we continue to maintain peaceful and cordial relations,” said Tobgay. On the border talks, he noted, “24 rounds of boundary discussions have been held so far and both sides are committed to finding a mutually beneficial solution.” This was, of course, the first annual report following the 72-day-long standoff between Indian and Chinese troops on Doklam region claimed by Bhutan in 2017. This comment on Bhutan-China relations was striking, since mentions about the northern neighbour have been boilerplate in previous speeches. For example, Tobgay said in 2017 that “relations with China is good” and “boundary talks are proceeding well”. “The 24th round of boundary talks was held in August 2016, followed by an expert group meeting in China in April 2017. The 25th round of boundary talks will be held in Thimphu this year,” he added. Of course, the scheduled 25th round never took place in 2017 with the Doklam crisis rolling out. Bhutan does not have formal diplomatic relations with any of the permanent five, including China. But, as an immediate neighbour, ties with China have extra sensitivity. In 2012, India was annoyed when the previous Prime Minister Jigmi Thinley met with the Chinese Premier Wen Jiabao in Rio. Bhutan had denied that Thinley had wished to “forge” diplomatic relations with China at an early date, but there were serious concerns in Delhi. Tobgay is known to have a good rapport with the Indian government, which has certainly helped New Delhi to be more responsive in issues like demonetisation. This statement may not be a signal to external players, as much as targeted towards the domestic audience. As the Doklam crisis made clear, there is also a vocal group, which may still be tiny and largely confined to social media, who have been advocating normalising relations with China and reducing dependency on India. When Tobgay talked about a “strategic long-term view” on engagement with China, he was likely speaking to this small, but vocal constituency within Bhutan. “It is not about what the (Bhutan PM’s) statement actually says. It is more important to look at what led to this sentence being included in the speech. What concerns was it addressing?” asked Omair T. Ahmad, author of a book on Bhutan’s history and politics. Ketapang Police chief Adj. Sr. Comr. Sunario was dismissed from his position on Friday and transferred to the West Kalimantan Police as a non-structural officer after a picture of a sign indicating collaboration between the Ketapang Police and the Suzhou Police in Jiangsu, China, went viral on social media. The National Police denied agreeing to such collaboration. “[Sunario] has been dismissed from his position because he violated the rules,” National Police spokesman Brig. Gen. Muhammad Iqbal said on Friday. The picture depicts what appears to be a sign at the entrance to an office that establishes the building as a "Joint Police Office". The picture sparked controversy after the National Police denied approving any form of collaboration with the Chinese counterpart. The sign also mentioned the “Ketapang Ecology and Agriculture Forestry Industrial Park”, a company that produces plywood, glue, tapioca starch and clean water, among other things. Chinese investors built the factory and invested Rp 4.5 trillion (US$311,000) into the company. It is located in Sukamaju village, Muara Pawan district, Ketapang regency, West Kalimantan. And Indonesia parliament will ask police chief about it.